Pelican Aircraft Consulting (PAC) is an aviation consulting firm based in Washington, DC. We specialize in aircraft sales, aircraft acquisition services, aircraft management and aviation consulting in the U.S. and around the world. With over 30 years of combined aviation experience, the company’s mission is to provide comprehensive solutions for aviation customers through expertise, world class service and safety. In addition to working with private aircraft owners and corporations, PAC also has expertise in the acquisition, sale and training for clients interested in owning and flying vintage airplanes. From J-3 Cubs to P-51 Mustangs, PAC can take you from “zero to hero” and help you realize your dream of owning and operating one of these historic airplanes. In addition to being founder and president of PAC, Mike Hogan he served on the Board of Directors of the Greater Washington Business Aviation Association. Mike is a seasoned and experienced pilot. He currently holds an ATP multi-engine rating with over 5200 hours of flight time in everything from a J-3 cub to a King Air 350. He is also type rated in the Cessna Mustang. He is an active pilot in the warbird community and flies 10 different types of historical military aircraft and is formation (F.A.S.T.) qualified. He is also the past President of a volunteer historical aviation museum in Culpeper, Virginia. 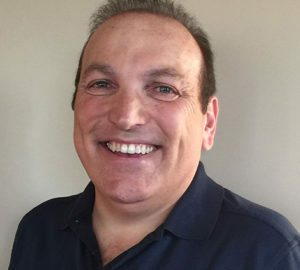 John was born and raised in Chicago, Illinois and has lived on both coasts of the United States. He is 1985 graduate of Southern Illinois University, where he majored in Aviation Management. While in school, he earned his pilot and aircraft mechanic licenses. John is a Captain for a major airline flying as a check pilot on the Boeing 767. He also holds aircraft ratings on the Airbus A320, Boeing 747 and 757. John is an FAA Certified Flight Instructor teaching single engine, multi- engine and instrument airplanes. He instructs extensively in vintage trainer aircraft, such as the PT-17 Stearman, PT-19, PT-26, BT-13 Vultee and the T-6 Texan. John flies vintage aircraft for a hobby and has flown the B-24, B-25, B-29 bombers and currently flies the FG1D Corsair, Grumman F4F Wildcat, Grumman TBM Avenger, ME-108 and the Hawker Hurricane. John lives in Northern Virginia. He is happily married for over 25 years and has two beautiful daughters and an adorable chocolate lab. Retired after a 34 year career as a Special Agent/Criminal Investigator at both the State then Federal level. Am now fulfilling a lifelong interest in aviation as a pilot flying the CoStar Caravan. I have a Commercial, single and multi-engine, instrument airplane certificate, approximately 3000 hours total time and 800+ hours in the Caravan. I am enjoying the flying for Pelican Aircraft immensely. I have been married to AnnMarie for 38years, have two incredible daughters and two delightful and hilarious grandchildren. Life can’t get any better! 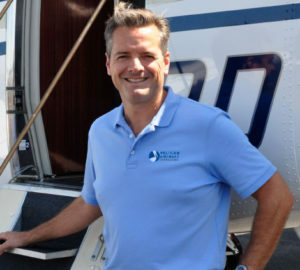 Chris Swanson is a retired US Army officer who has flown aircraft ranging from Cessna Caravans to Chinook helicopters, with type ratings in the King Air 350, Jetstream 41, and Boeing 737-800. He has flown mission aircraft in 5 of the worlds 7 continents. 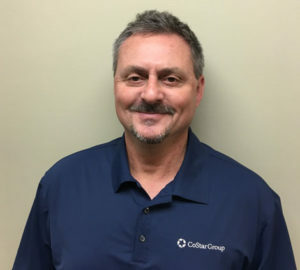 Chris has extensive experience in Special Operations where prior to becoming a military pilot, he served as an Underwater Demolitions Sergeant in Okinawa, Japan and Fort Lewis, Wa. Rob has over 6,100 hours of military and civilian flying time. 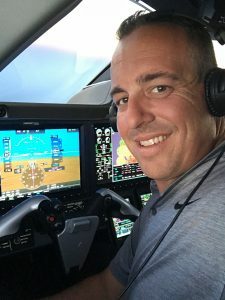 He is a (CFII) Flight Instructor and has ratings in Instrument, Single and Multi-Engine Airline Transport Pilot (ATP) and a Tail Wheel Endorsement. He also has type ratings in the CASA C212 and the Lockheed L-382. Rob is a retired United States Air Force Instructor and Evaluator Command Pilot. He is a Subject Matter Expert in Unconventional Warfare, Combat Aviation Advisory Operations, Foreign Internal Defense Missions and Tactical Flying Operations to include; Blacked-Out Night Vision Goggle, STOL, Unimproved Landing Surfaces, Airdrop of Personnel and Equipment operations. He also has extensive experience in Intelligence, Surveillance and Reconnaissance operations. Rob completed Six Combat Deployments throughout Iraq culminating in 235 Combat Missions and 1,144 Hours of Combat Time. He has Planned, Executed and Commanded Operations throughout the World South Korea, Thailand, Sri Lanka, Poland, Romania, Turkey, Cyprus, Bahrain, Jordan, Oman, Uzbekistan, Saudi Arabia, Kuwait, El Salvador, Honduras, Panama, Haiti, Puerto Rico, Bahamas, Turks and Caicos, Dominican Republic, Guantanamo Bay, Cuba, Iraq and the Ukraine. Examples of aircraft Rob has flown; C-208 Grand Caravan, T-38 Talon, T-37 Tweet, C-130 Hercules, C-212 CASA, Antonov An-32, An-26, Be-58 Baron, C-206 Station-Air, PA24 Comanche, A-36 Bonanza, Pilatus PC-6 Turbo Porter, SNJ-5, T-6G Texan, J-3 Cub, Aeronca, Citabria, Maule MX5 and Beechcraft King Air. 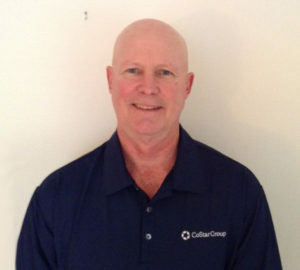 Derek grew up in Southern California, and holds an ATP Multi Engine rating, with experience in 121,135 and part 91 operations. He has accumulated over 3,200 hours of flight time in a wide range of aircraft, including the EMB-500, EMB-505, CL-65, LRJET, CE-525S and EMB-135/145. Derek prides in being a family man to his beautiful wife and three children. When he isn’t flying; he likes to spend time surfing, snowboarding and coaches PONY baseball in his home city of Irvine. Jene’ graduated from Embry-Riddle with a major in Aviation Management and a minor in Aerospace Electronics. While attending college, she worked as an aircraft mechanic apprentice and avionics installer. The majority of her career has been focused in marketing, including being a published author of multiple technical articles in a variety of industries. Jene’ supports our team from the ground with her marketing and administrative expertise. When not on land, she spends her free time on the ocean in her fishing boat.